St. Martin's Press, 9781250096968, 368pp. 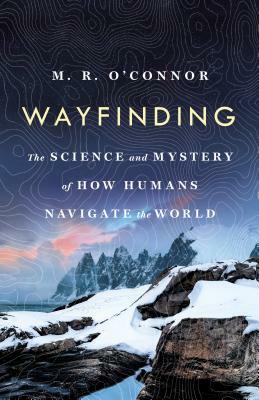 In this compelling narrative, O'Connor seeks out neuroscientists, anthropologists and master navigators to understand how navigation ultimately gave us our humanity. Biologists have been trying to solve the mystery of how organisms have the ability to migrate and orient with such precision—especially since our own adventurous ancestors spread across the world without maps or instruments. O'Connor goes to the Arctic, the Australian bush and the South Pacific to talk to masters of their environment who seek to preserve their traditions at a time when anyone can use a GPS to navigate. O’Connor explores the neurological basis of spatial orientation within the hippocampus. Without it, people inhabit a dream state, becoming amnesiacs incapable of finding their way, recalling the past, or imagining the future. Studies have shown that the more we exercise our cognitive mapping skills, the greater the grey matter and health of our hippocampus. O'Connor talks to scientists studying how atrophy in the hippocampus is associated with afflictions such as impaired memory, dementia, Alzheimer’s Disease, depression and PTSD. Wayfinding is a captivating book that charts how our species' profound capacity for exploration, memory and storytelling results in topophilia, the love of place. M.R. O'CONNOR’s reporting has appeared in Foreign Policy, Slate, The Atlantic, Nautilus and The New Yorker. Her work has received support from the Pulitzer Center on Crisis Reporting, The Nation Institute's Investigative Fund, and the Alfred P. Sloan Foundation. In 2016 she was a Knight Science Journalism Fellow at MIT. She is the author of Resurrection Science. A graduate of Columbia’s Graduate School of Journalism, she lives in Flatbush, Brooklyn.